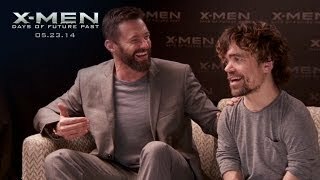 The X-Men X-Perience concludes in Australia with a Tumblr Chat featuring Hugh Jackman & Peter Dinklage, hosted by Marc Fennell. The X-Men: Days of Future Past cast presents questions to their two co-stars, watch their answers now! X-Men: Days of Future Past now on 3D Blu-ray™, Blu-ray™, DVD and Digital HD. Drie acteurs uit 'The Raid 2' gecast in 'Star Wars: The Force Awakens'!